It is clear that the Leadership of the movement has realized that Hamas the government cannot behave like Hamas the Resistance and is now facing the same dilemna than the PLO in previous years.For all their accusuations to Fatah it seems they are following in their steps. 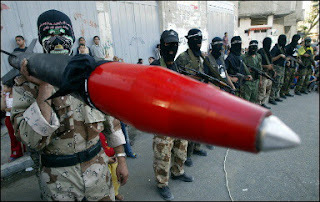 What will be interesting is the reaction of the more militant factions in Gaza. Will they respect the truce and how will Hamas respons if they dont? When Bush is gone.Will reason prevail?